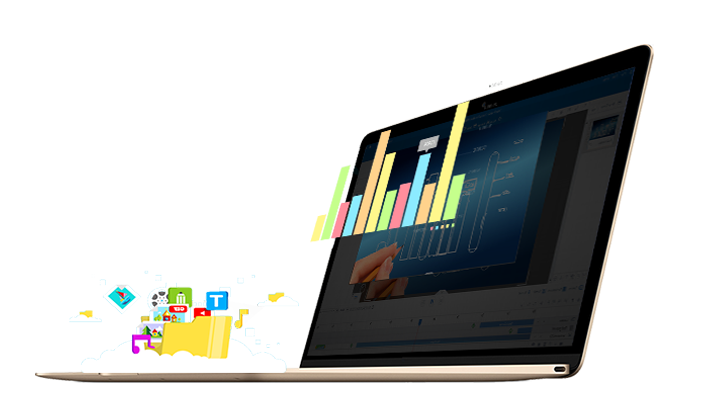 Easy-to-use introduction video software for marketers to create vivid and engaging explainer video and product demo in limited budget. Best tool to increase your business performance online. Most of people would be fond of animated roles which can help them increase the attraction of their videos. As we all know, it is not an easy thing to make an animated roles without professional guidance. Animiz is the professional guider for you. It provides you more than 1000 animated roles with different emotion and action, among which are many free ones. 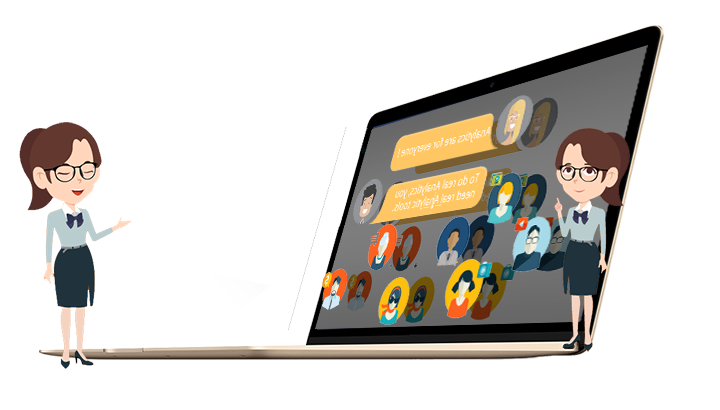 Lively animated roles play the roles as speaker for your product introduction video. If there are much data in your product introduction, more people would like to collect them with charts, which is one of good ways to state your video contents clearly and quickly. 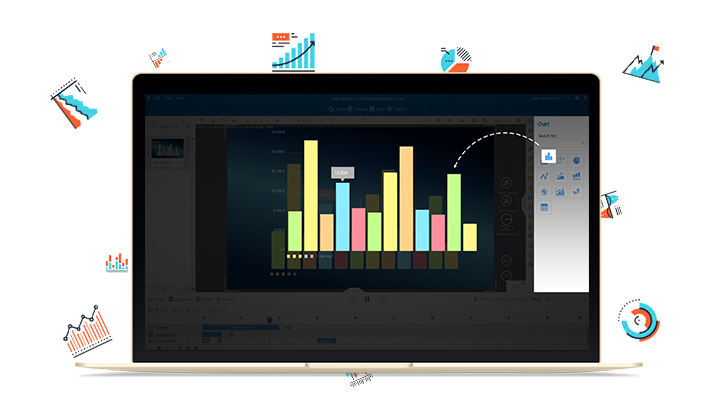 Animiz provides you ten kinds of charts to integrate the complex information, for example, bar chart, dot chart, pie chart, stacking chart, etc. it is so good that you are allowed to customize the charts template for the data, color, text and more. Animation effects are the gift from Animiz, where you can choose many free animation effects to apply for your objects on the canvas. Easily make your static object move lively like a dynamic one. It is of course not a hard work to give your video animation effects. Move to Timeline, choose an object and click “add” to open the effects choice windows. The animation effect would be applied as soon as you click and choose it. Everyone is capable of doing this. The aim of any product introduction video is to arouse much more people’s attention and increase the performance. So the final step should be the publishing and sharing. 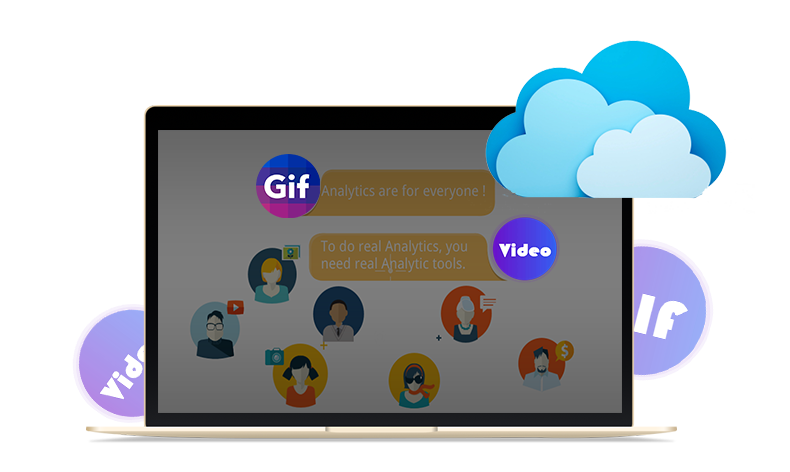 Publish your video to Cloud for sharing it easily online. Or you can choose to publish the projects as video or GIF format for offline reading and sharing via email. Under these conditions, you have no need to worry about the popularization of your products introduction video. Choose one free online business video template to begin making and decorating. Add multiple cameras to make your video compelling. Gorgeous zooming experience further more details. Add some subtitle and voiceover to make them simultaneous with the animation roles. Add some charts to clarify clearly your data information in the product video.